Hopefully your colored pencils are fairly sharp. This has got some fine detail. Click the image for a bigger version, and have fun coloring! 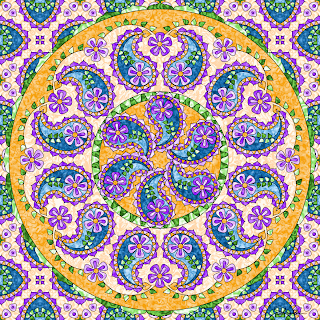 There are a lot of mandalas to color in my blog, just click on the mandala label at the bottom of this post. These are awesome, however, I can't seem to get the whole picture to print on letter size paper - any suggestions on how to do this? I just want to print them off for my daughter to color. Hi Becky! Because these are higher dpi than some web browser printing standards, they need to be either downloaded and printed or choose print to fit page from your printer dialog advanced settings. I recommend Chrome browser for the best printing from the web. Using Chrome, this does print to fit the page. Hi, I want to use this mandala as a template to 3D print a clock dial for personal use only. I am happy to send you photos if it works out. This will be an interesting challenge to color! 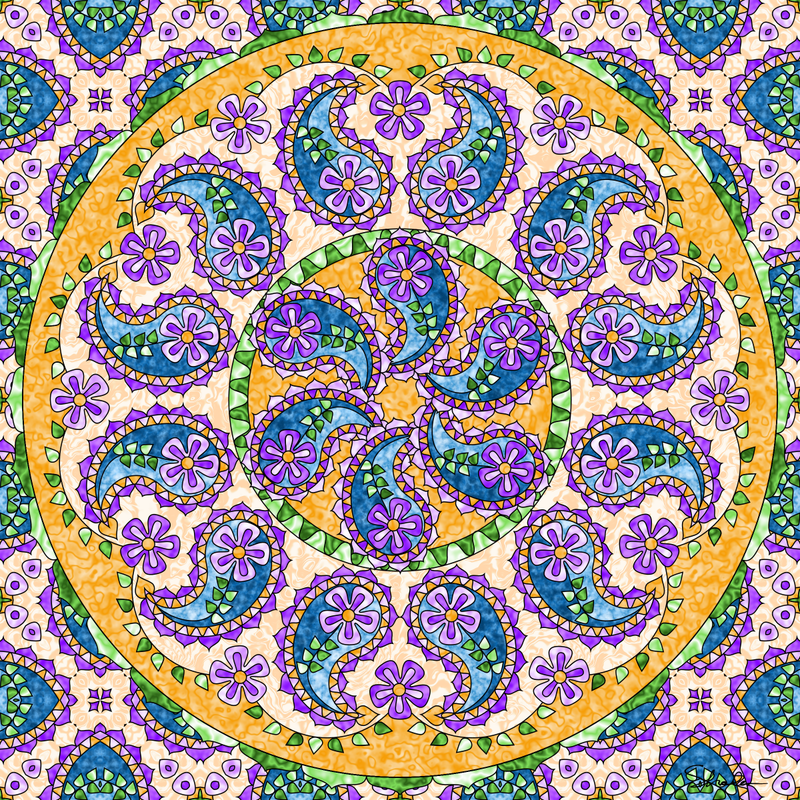 I've always liked paisley designs but am just starting to think about coloring them. Thanks so much for sharing this lovely design, Shala!